Cripes these guys play fast. Look out Dragonforce, you have some major competition in the States from Boston's Sonic Pulse for speedy power metal. 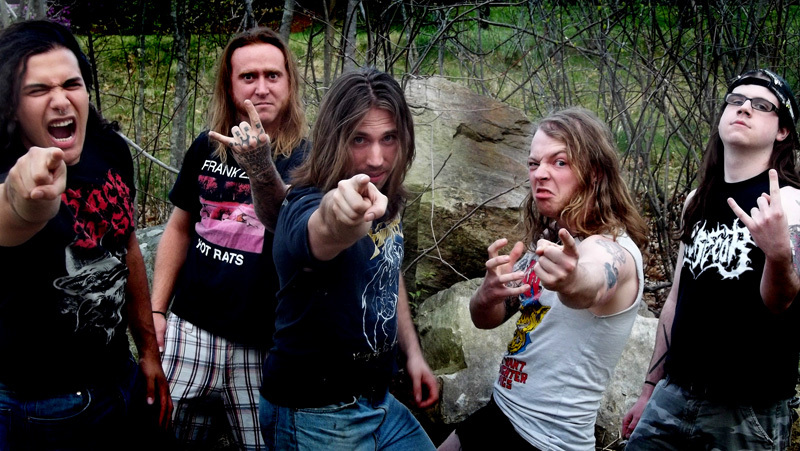 But Lager Than Life adds a rather subtle twist: an element of classic thrash metal. Sonic Pulse: sneering and pointing. Basically, Lager Than Life is a pedal to metal speedfest. Sonic Pulse pulls a Kid Rock and writes a song about themselves. Odes to beer drinking come with Queen of Beers and Eye of the Beerholder and a tale of the pot smoking undead with Bong Zombies. It's all rather humorous. The relationship to Dragonforce is not far removed. Sonic Pulse covers Demoniac Spell by Demoniac, guitarist Sam Totman's band before Dragonforce. The album rounds out with two galloping power metal songs, Beyond the Black Hole and the rather short Adventure Time. This segues into the only drawback of the album: it's too short with only seven songs, and one less than two minutes. Otherwise, this is a killer album of lightning fast, bit thrashy, power metal. Fast enough to smoke the mighty Dragonforce? Could be. Easily recommended. 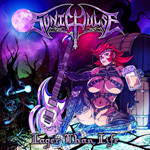 Sonic Pulse's Lager Than Life is a killer album of lightning fast, bit thrashy, power metal. Fast enough to smoke the mighty Dragonforce? Could be.